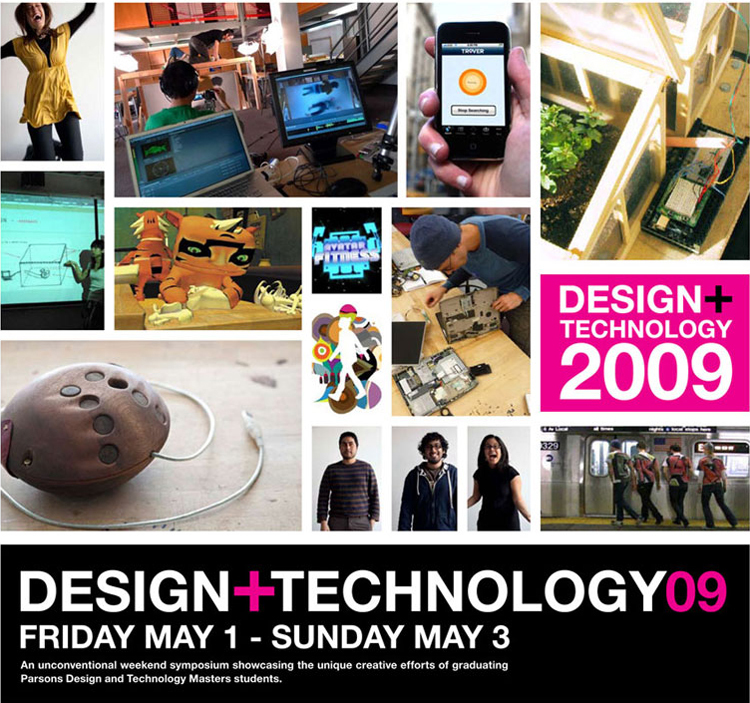 Next weekend, I’ll be presenting Pigeon at the Parsons MFA Design and Technology 2009 Symposium being held in New York City. The event will have I’m on a panel with the theme of “Take It With You: The Mobile Movement” on May 2 from 5-6:30pm. All of my friends and classmates will also be screening their short films, exhibiting their installations, and playing on their instruments. My team and I are at the Game Developers Conference this week, thanks to Nokia. We presented and demoed our game, Weekness, today. 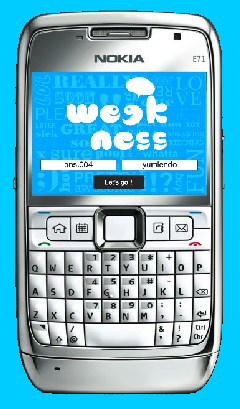 Weekness turns your text messaging habits into a game. In one player mode, users guess who text messages were sent to and received from, from weeks past. In the two players mode, uers play in real time on one phone with another user to guess each other’s most often text messaged words. In both modes, a new social interactions can be created, extending the pre-existing socail usages of the phone. 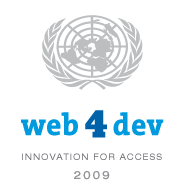 Rabia Malik , Yumi Endo and I were the Weekness development team. We live in a world of hugely under exploited information. There has also been talk both the lack of information coming out of places that need assistance and the overwhelming level of information needed to be distributed and analyzed. Dr. Dye also emphasized the need for connectivity, which was later further developed as the need for access to participation by Steve Vosloo. The barriers to self-organization of have collapsed. Access to information is such an abstraction, but mainly what people use communications platforms for is for communication, which everyone seems so surprised about. I feel there are some real implications of how to speak about and continute to develop Pigeon. Pigeon is designed to allow participation in whatever way users decide is best for their communication needs. They can share seemingly unimportant life updates to increase social capital. Conversation, broadcast, aggregation, and multi-casting are all parts of the system, and with this contextual framework, can be even further emphasized. Now you can add contact on Pigeon if you know the member number of your desired contact. Figuring out how to accomplish this was a bit more complicated than the sign up code. Here’s an old map of my database schema, which I have been referring to and helps to explain my logical organization: dbschema.pdf. The contactLink table is used to join to members together and make them contacts. I had to change my plan for organizing this table to make it easier to approve or decline contact requests. There needs to be an option for ignoring a request and dealing with it later, but for the purposes of quick prototyping, this option was put on hold to get the main funcitonality going. In my old prototype, I had faked the ability to leave messages for only your contacts. Only this functionality needs to be added for a round of interesting user testing to occur. contactsadding.zip contains all of the Pigeon code up to this point. NYTimes “What Your Global Neighbors Are Buying” Map has interesting information and great design. What makes this map particularly effective for me is the way the rectangles shrink and grow between tabs. I wonder if mobile phones fall under electronics, household goods, or recreation, or, really, maybe I wonder where they should fall. 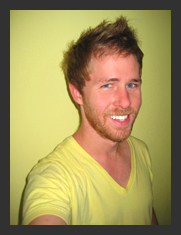 I'm Drew, and this is my thesis blog. It's research, prototypes, and more. My thesis asks how immediate technology can create an intimate communication experience for people with limited technological access. I'm exploring this with Pigeon, an asynchronous voice message broadcast network accessible through a local phone call. With Pigeon, a person can record a one-minute voice message telling their world what's up. Sign up and test Pigeon by dialing (713) 574-9488. Contact me at drew [at] drewcogbill [dot] com, follow me on twitter, get me on facebook, and check out my CV.